Keeps your hands free to handle the job faster and with professional results. 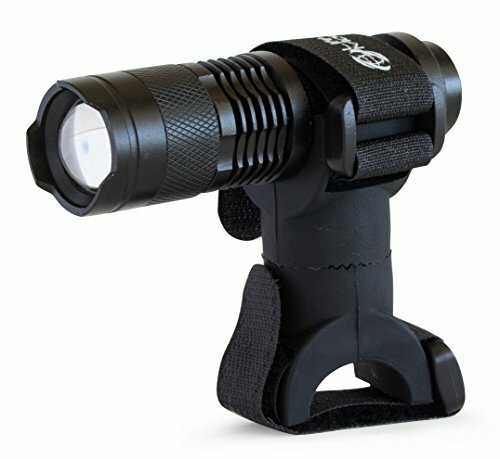 Features a powerful LED flashlight with adjustable focus that operates on one AA battery. The patented universal pipe mount is made of durable rubber that flexes to adapt to pipe diameters up to 2.5". It has a fully adjustable multi-position swivel and secure attachment straps so you know it will fit and stay right where you want it. Compact, adaptable, and convenient. The perfect solution for tight places and tough jobs. Light your way with the Life Mounts® LED Plumbers Light and Mount!